Consumers enrolled in high-deductible health plans are more likely to feel the pain of high drug prices. 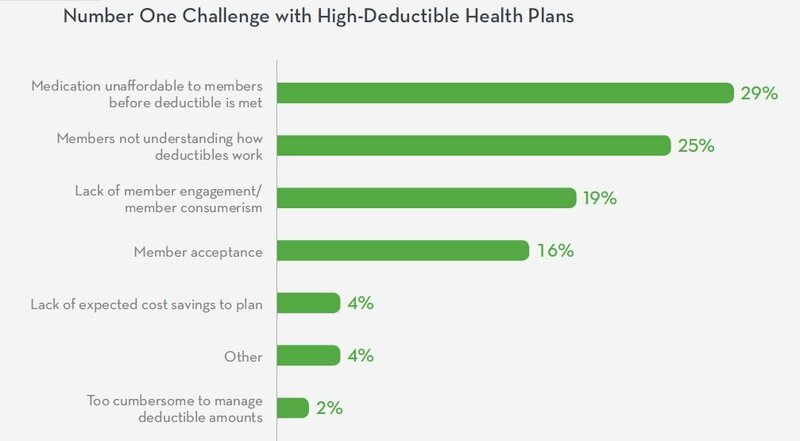 A survey of benefits managers by the Pharmacy Benefit Management Institute finds that many employers have shifted to high-deductible health plans but remain concerned about whether the plans are limiting their employees’ ability to afford critical medication. The survey of 273 benefits managers found that 79 percent offer a HDHP and 44 percent have a separate deductible for pharmacy benefits. Among the respondents, the average family deductible is $3,571. Many of the responding members voiced concerns about their members not being able to afford the deductible and not understanding how deductibles work.